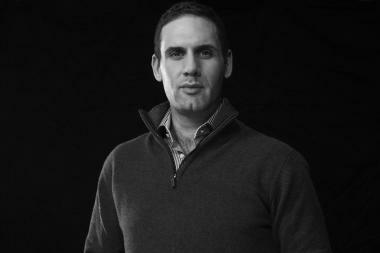 UPTOWN — Developer Jay Michael thinks Uptown will be the next hip Chicago neighborhood. 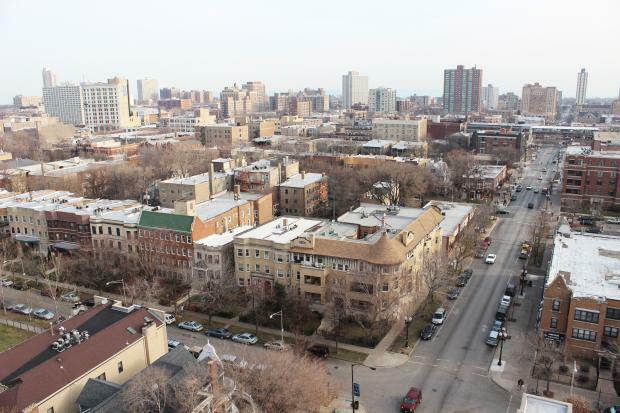 So much so, the Gold Coast resident is hunting for a place of his own in a neighborhood sandwiched between Lake View and Edgewater. Not only that, but he and his company, Cedar Street, spent millions to acquire seven buildings in the area to cash in on the emerging market, he said. "I feel like Uptown has this stigma of being unsafe and poorly kept," said the 31-year-old. "I think there’s a lot of reasons that it's that way." The seven Far North Side buildings — four in Uptown, two in Edgewater and one in Rogers Park — were formerly in varying stages of disrepair and mismanagement. Jay Michael, an executive with Cedar Street Companies, hopes to turn seven buildings on Chicago's North Side into hip apartments. The two buildings in Edgewater on Winthrop Avenue, for example, failed dozens of inspections in 2010 and 2011 for rampant bug infestations, defective light fixtures and exit signs, low hot water temperatures and lack of proper heat, according to building records. The final remaining residents of Wilson Tower, a 12-story, single-room occupancy building in Uptown, were being moved out in November. The tower's musty and poorly lit hallways and rooms, many of them studios, will be rehabbed. And Michael plans to turn the building's rooftop — of which the only way onto is up a shaky fire escape from the twelfth floor— into a roof-top deck for residents. All of the buildings are now under construction and are easily spotted by the gray-painted plywood surrounding the first floors. The cohesive branding features a golden silhouette of Michael's bulldog and the collection's name: FLATS Chicago. Early in November, Michael and other designers gathered at the Chicago Architecture Foundation downtown with Ald. James Cappleman (46th) to view visionary concepts of what Uptown's once-bustling entertainment district could become. Cappleman told DNAinfo.com Chicago that when the Wilson "L" station renovation is complete in 2016, the neighborhood will be one step closer to a revitalized business and entertainment sector. "We’re happy that some of these buildings, that after falling apart, he’s purchasing and renewing and keeping the feel of the neighborhood," said Tressa Feher, Cappleman's chief of staff. Other developers have taken note as well. Developer JDL is proposing to build to build a luxury 31-story glass building, a 10-story glass building with townhomes lining its base, and 85,000 square feet of commercial space in Uptown's Clarendon/Montrose TIF District. Michael said the "time was right" for his investment in Uptown and surrounding neighborhoods. He has plans to move his company's corporate offices to 1025 W. Sunnyside Ave., a blocky, vacant three flat he bought from the Salvation Army in July. The apartments, set to be available early next year, with rent starting at $800 for a studio, $1,000 for a one bedroom and $1,400 for a two bedroom. Although mum on the details, Michael said a well-known coffee shop — other than Starbucks — plans to open in a retail space at an Uptown location. And a former Top Chef winner has plans to open a restaurant in another FLATS location. Michael said he wants to see Uptown become a mecca for the bicycling working class who enjoy affordable food and a stellar cup of coffee. Other amenities FLATS will offer to attract clientele include free WiFi, food and beverage service, a bike room, gardens with barbecues, and a "chic, hotel-grade lobby that emits FLATS signature scent," according to a Cedar Street press release. Michael added: "[Uptown] deserves to be like all the neighborhoods on all sides of it." The FLATS buildings on the Far North Side include 1025 W. Sunnyside Ave., 1325 W. Wilson Ave., 5718 N. Winthrop Ave., 5411 N. Winthrop Ave., 5051 N. Kenmore Ave. and 4875 N. Magnolia Ave.